Born in Feltre, near Treviso in Northern Italy, Andrea Ciccolella is not a professional chef, nor baker, he's a factory worker at the prominent Italian eyewear company Luxottica. 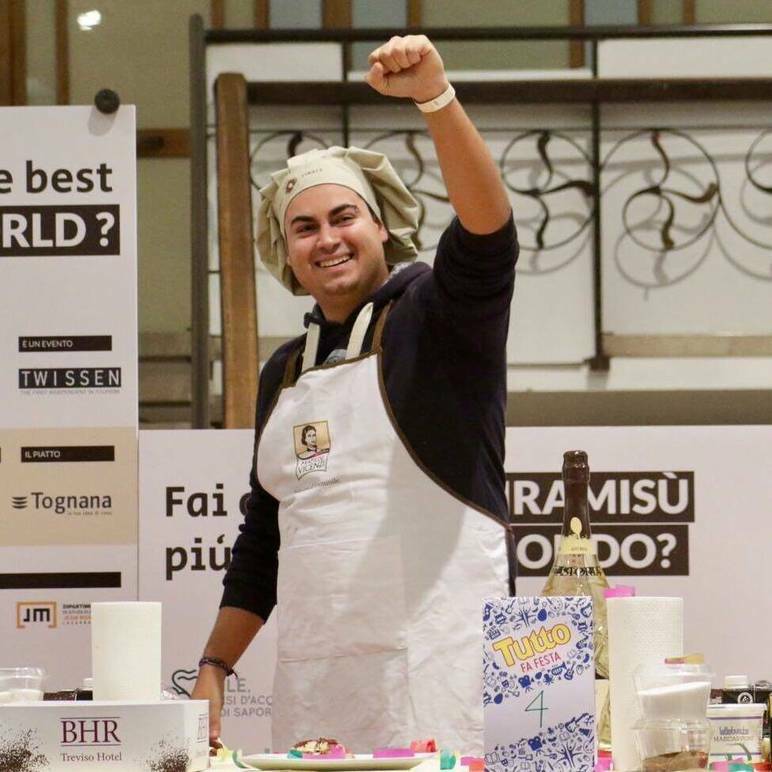 In 2017, his friends convinced him to take part in the first edition of the Tiramisù World Cup. Despite some initial reluctance, Andrea finally accepted and was awarded Best Original Recipe, officially becoming the World Champion of Tiramisù. The competition takes place in Treviso, which many consider to be the birthplace of tiramisu. There is however much controversy over the origins of the popular dessert. Many towns and regions claim it as their own, but the two most credible and fierce contenders are Veneto and Friuli Venezia Giulia. Andrea is, of course, on the Treviso team. 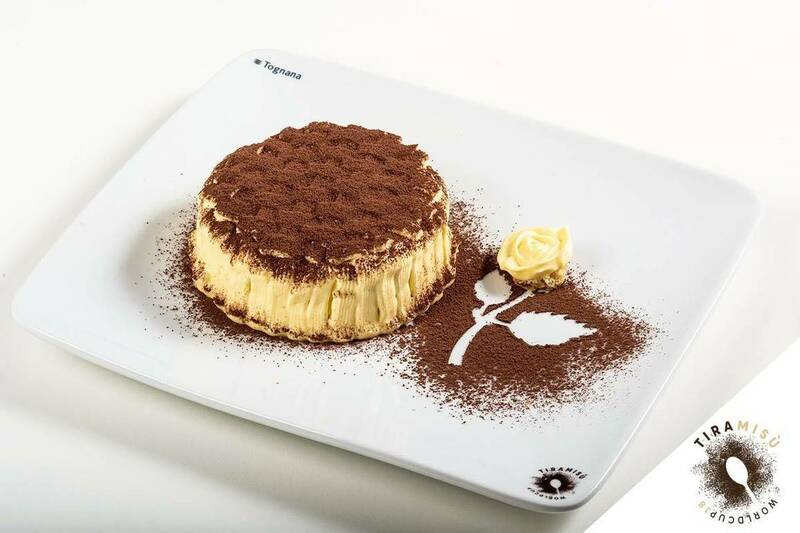 For him, the secret to making the best tiramisu consists in using high-quality ingredients and very rich mascarpone but also requires lots of passion and training. He trained rigorously in the months leading up to the competition, eating vast amounts of tiramisù and “forcing” his friends and family to help him out. Now, Andrea hopes to turn his passion into his career and open his own bakery. He continues to work on his baking and recently came up with a beautiful new creation: a golden tiramisu. 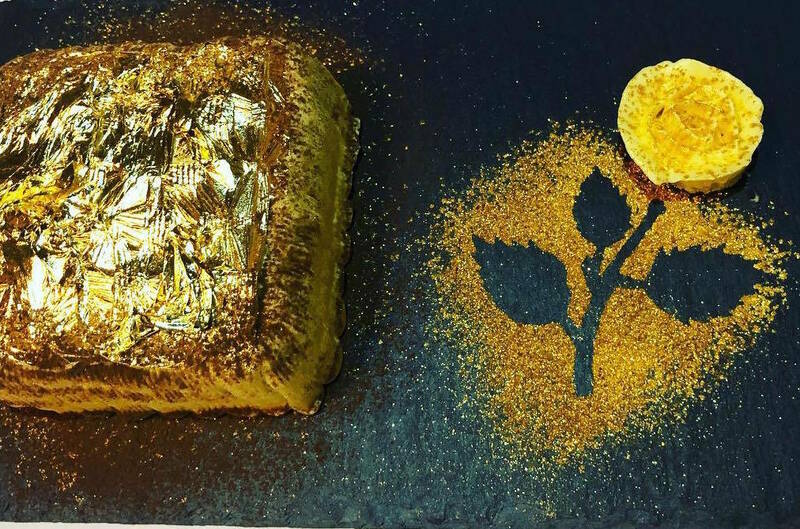 This delicate dish is made following his original recipe and adding 24-carat gold leaves on top, which Andrea assures are 100% edible. Additionally, he mixed gold dust into the cocoa powder to make it even shinier. This new version was conceived as an homage to the beloved dessert, which holds a special place in Andrea’s heart for having helped him open up this new chapter of his life. It is golden just like the medal it awarded its creator.